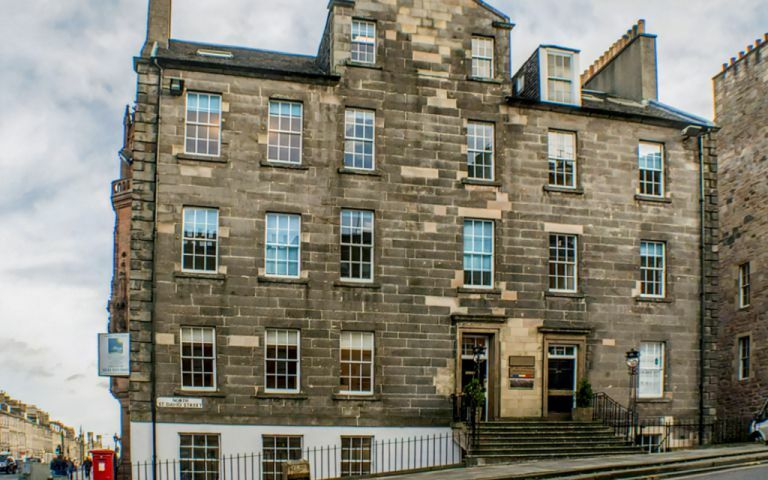 Our Edinburgh serviced offices are situated in the heart of Edinburgh's city centre and housed in a Grade II listed building. The offices benefit from an atmospheric fully serviced reception area, personalised phone answering, state of the art telecommunications and access to fully facilitated meeting rooms with extensive business/secretarial support also available. The serviced offices offer space for businesses both large and small in a high quality and cost effective serviced office package. Professionally managed by originators of the UK serviced office industry, tenants of this Edinburgh serviced office development will benefit from access to other centres nationwide, an internal networking forum, and a highly professional management team. Serviced Office prices range from £200 per work station per month. All clients will have access to our Serviced Bedrooms for whenever they need to stay in London. The Edinburgh serviced offices are a five minute walk from Waverley Station and St Andrew Square bus terminal. Princess Street is a one-minute walk. The Edinburgh International Airport is approx. 30 minutes by car.